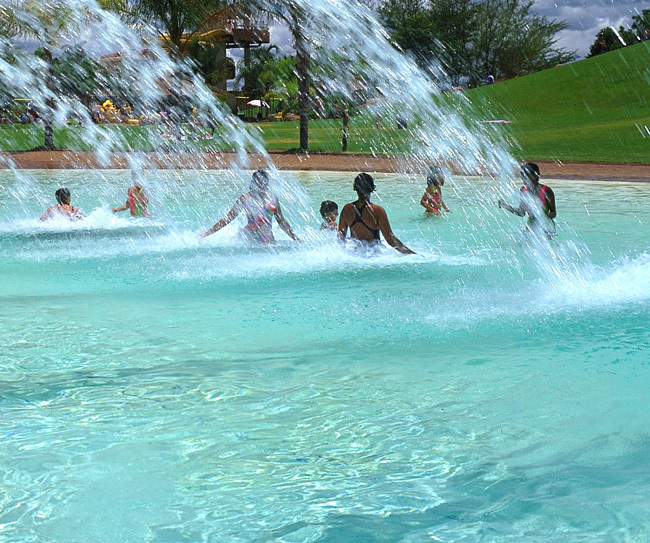 Grab your kids for mega wallowing and splashing about at Forever Resorts Warmbaths. Even if you’re not crazy about family-oriented resorts, a trip to Bela-Bela wouldn’t be complete without a dip in the bubbling hot mineral spring. But if it’s a quiet getaway you’re after be warned – on weekends and school holidays you might be joined by thousands of holiday makers. The source of the ancient spring gushes out 22 000 litres of water at 52 degrees Celsius every hour. Rich in limestone minerals including calcium carbonate, sodium chloride and other salts, the water is popular for healing treatments. Apart from the hydro therapy of the Jacuzzi, indoor hydro pools and the main pool, the resort offers cable water skiing, go-karts, mini quads, a fufi-slide, pedal boats, target shooting, 'Monster Web' climbing, putt-putt, kids play park, speed slide, wave pool – the list is endless! December rates subject to change: adults R130, children 3 – 13 R100. Warmbaths is the perfect place for the family. The Hydro offers hot springs and a relaxing atmosphere, while the outdoor pools offer family fun in the form of super tubes, tubing, and a wave pool. There is also a large heated outdoor pool and a kiddies pool that is also heated. The self-catering accommodation is also well worth the cost. BEST PLACE FOR ENTERTAINMENT OF KIDS AND ADULTS TOO..
Had so much fun, the Go karts, boat ride and horse ride were amazing. There's something for everyone here, the whole family had fun and didn't want to leave. Absolutely fun place to be at. I went there with friends for the first time and it was out of this world, we had a great time and i am thinking of going back with my family for longer. Forever Resorts Warmbaths is 0.9km from the centre of Bela Bela (Warmbaths) , the nearest airport 104km (Waterkloof AFB Airport).